I decided to go ahead and get the Racerback Tank Top pattern from Pixie Faire. The tank turned out very cute! However, I think that I will make a couple changes the next time I make one of these. 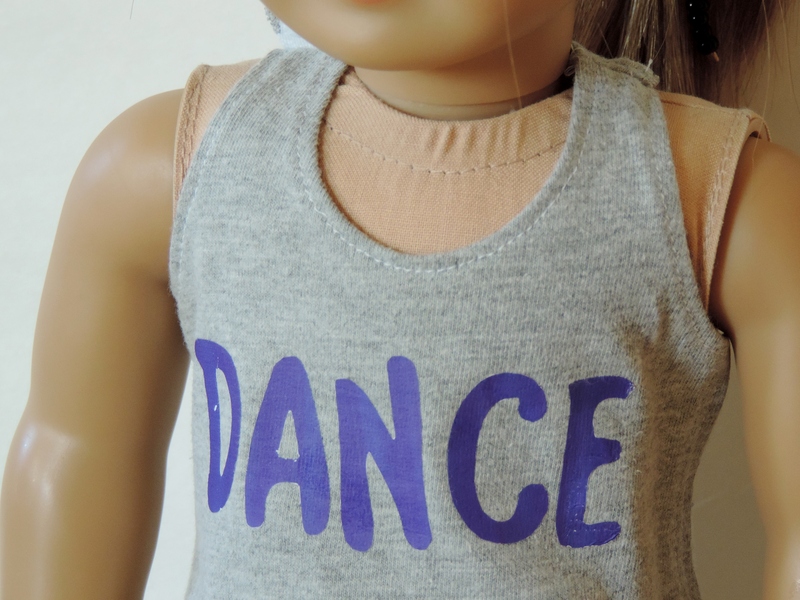 The pattern requires sewing a snap on the shoulder closure (which is needed to get the tank on and off the doll). I used a little piece of Velcro. It isn’t as flat and uniform as it would be with a snap, but Velcro is easier to fasten. The picture above shows the Velcro over the left shoulder. I may try the snap method in the future, though. The tank top encloses on the side, rather than the back to ensure the cute racerback look. This was no problem and worked quite well. I just had to try it on the doll first to make sure it would match up. Since I do not own a serger and use zig-zag stitches to finish all raw seams, next time I will try making this top with a lining. This would remove messy hems and possibly make it reversible. The word DANCE, I printed with a regular printer onto a sheet of dark iron-on transfer paper. With my scissors I cut out each letter and removed the inside of the D and A with my X-Acto knife. With a press of the iron, I bonded the letters to the top! 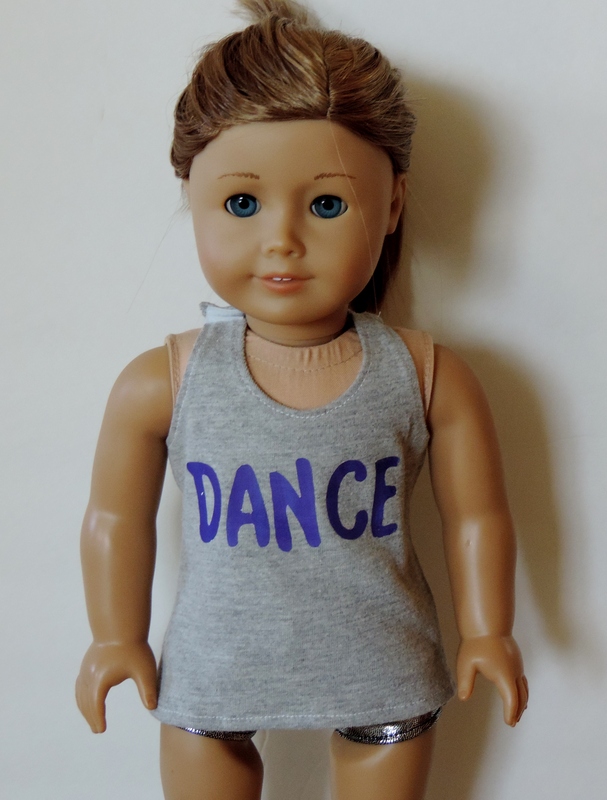 The tank paired with some boy cut shorts made from this Pixie Faire pattern and dance fabric, makes the perfect outfit for dance class!